7/16" (11 mm) below the top surface of the epoxy or solid phenolic countertop, to receive the sink rim. The sink rim will be set in the rabbeted or rebated edge approximately 1.59 mm (1/16") to 3 mm (1/8") below the top of the countertop surface. The rebated or rabbeted edge is typically prepared at the factory during fabrication of the epoxy or solid phenolic counter tops but may be routed in the field with diamond tipped routers. Set sink in 2-part epoxy adhesive, center in the cutout and fill remainder of groove with epoxy adhesive. Remove excess adhesive and or sealant while still wet and finish joint for neat appearance and reduction of open spaces that may collect water, liquids or bacteria. a pair of equal sized or off-set sized epoxy sinks can be installed by cutting two separate cutouts into the surface of the epoxy or solid phenolic countertops. Double bowl drop-in sinks typically require a minimum 1 1/2" to 1 3/4" (38 to 45mm) bridge or surface strip between the two installed sinks to support the edge and weight of epoxy sinks. See picture (below) for double bowl lipped drop-in epoxy sinks configuration. For a complete list of epoxy sinks offered to the laboratory industry, refer to the chart below for ADA compliant and industry standard sizes. 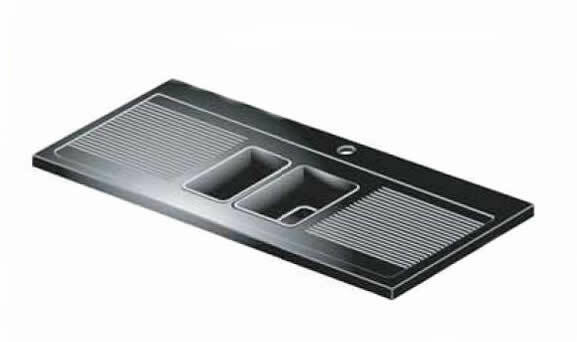 Currently, only one Double Bowl lipped drop-in epoxy sink is available for mounting as a Drop-in installation. The model DER-L30CR-2X double bowl epoxy sink is a lipped drop-in type that can also be applied under mount using the same mounting methods listed in the under mount section of the website. 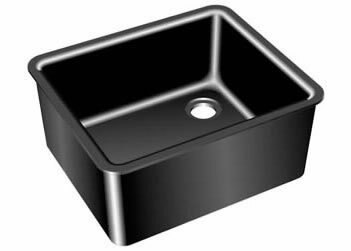 The sink has an outside dimension of 16.53" Wide x 39.06" Length and 10.75" inside depth. Each bowl is 18" x 15" ID (See image below). Corner drain only available. to epoxy or solid phenolic countertop materials. of the epoxy resin work surfaces specified elsewhere. 1. Drop-in Type: Drop-in installation within Division 12 in epoxy resin or phenolic resin work surfaces. Color to match or contrast with work surface. .
to form a complete chemical - liquid seal. Other colored adhesives available to color match counters or epoxy sinks. 3. Remove excess adhesive or sealant while wet and pliable, finish joint for neat tapered to bowl appearance. 4. Sink shall be set 1/16" (1.58 mm) to 1/8 inch (3 mm) below the level of the adjacent lab work surface. and install strainer waste in sink with application of epoxy resin adhesive to the underside of the flange. 6. 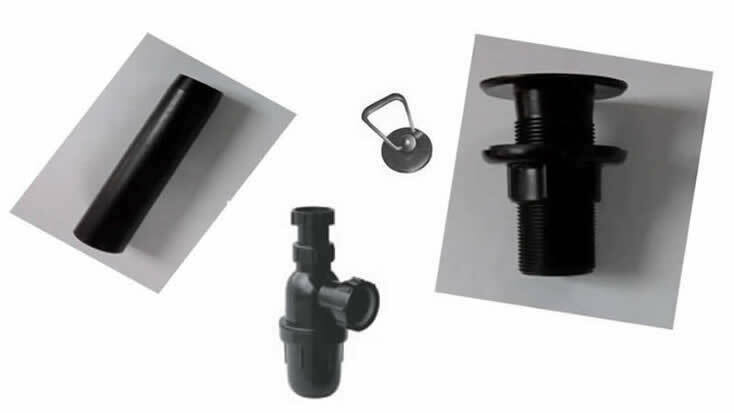 Provide tailpiece compatible with waste piping system for all sinks unless otherwise specified. Refer to Division 23 for piping requirements. to Interior depth of bowl. NSF / ANSI Standard 51 Compliant for Food Equipment Materials. Note: Any of the Lipped Drop-In Duratop Epoxy sinks listed above can be cut down, fabricated and finished to a more shallow depth to meet ADA requirements or specification. The conversion would allow for under counter mounting with properly sized sink supports. Not Included with above set but available and in stock.